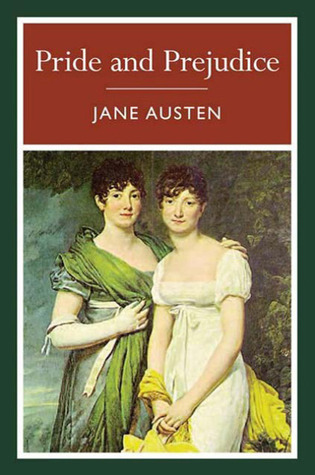 I started reading this book because I was dying to read Austen for a while. I bought a collection of her works and realised the book was much too heavy to carry around so I bought a single edition and began reading that. So, overall I spent over €20 on this, rather tedious novel. I enjoyed the first 100 pages but after that it got so boring and repetitive. Mrs. Bennet annoyed me to no end. The whole book was mostly focused on how much she wanted her daughters to get married. She was selfish and annoying. Mr. Bennet was quite the opposite. He didn't seem bothered about his daughters marrying and he was very laid back and boring. Elizabeth is the main character and she was so annoying too. She moaned about how she hated Mr. Darcy throughout the book and then... the ending! What? It was so sudden and ridiculous. Jane was so boring and all nice and pleasing and horrible. Lydia was the only character I semi-liked. She was a typical teenage girl which I loved. I loved how she just left in the middle of the book without telling anyone. The character development was poorly done. Everyone just so suddenly changed. Well, Jane and Mrs. Bennet never changed but the others, when they changed it was so obvious. The writing style was okay, it was easy enough to understand but the blanks (which apparently is a 19th century literature thing to make books more realistic) was so distracting and not at all any more realistic than it already was (which was very little). The plot was very 2D. There was not much to it. I don't really know what I was expecting from this novel but what I got was not what I wanted. It took me 5 days to read this novel when it should have taken only 2-3 days. I'd recommend this book only if you like classics or Jane Austen. Sure, I'll check out your blog.